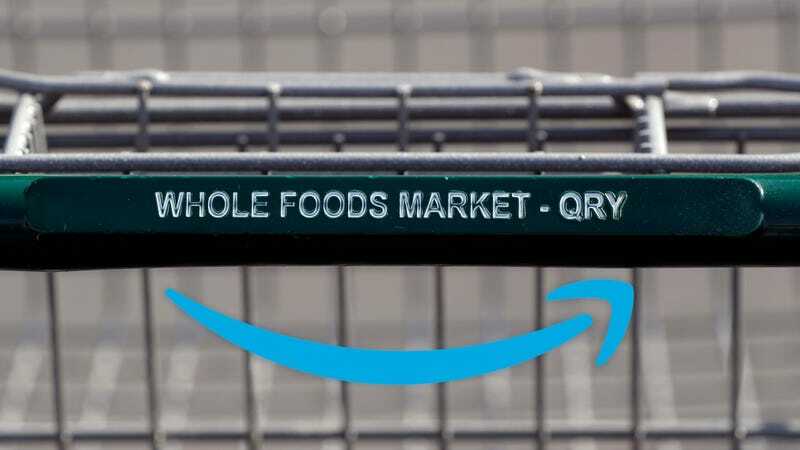 When it acquired Whole Foods in August, Amazon said that Prime members would eventually get “special savings and in-store benefits” at the grocery stores, and the company just announced the first one: It’s for turkey! For Thanksgiving! A whole 20 percent off (non-organic) birds! If you’re a member of Amazon Prime, all you have to do is pull up a special coupon on Amazon’s website, go to Whole Foods before November 26th, select the specific type of turkey that’s on sale for Prime Members, take it to the cashier, present the coupon, and BOOM, you save money. If all this sounds complicated, don’t worry, Amazon feels your pain. In fact, the process for redeeming the first ever Prime-exclusive discount at Whole Foods is so specific and regimented that Amazon includes a Frequently Asked Questions (FAQ) section on the coupon page itself. You can only see that coupon, by the way, if you’re signed into an Amazon Prime account. Normies don’t get to participate in this adventure. Even after reading through the FAQ, however, you might still have questions. Couldn’t the company, for instance, just ask Prime members for their email address at the checkout or something? And Amazon lets you reserve a turkey online, which is handy, but you won’t see the promotional price until you go to the Whole Foods store and buy the bird. Why not? Amazon also says it identifies the eligible turkeys in Whole Foods with “an orange stripe that says ‘Special Savings.’” What’s up with that? It’s almost as if Whole Foods doesn’t want non-Prime members to know that Prime members get a special discount. Which seems silly, because wouldn’t Amazon and Whole Foods want more people to sign up as Prime members and enjoy these discounts? Will Whole Foods prompt non-Prime members to sign up if they bring a special turkey to the cashier? The year 2017 is one that’s full of mystery and intrigue, especially when it comes to Amazon news. We’ve known for a few months that special Prime member exclusive deals would be coming to Whole Foods. We’ve also known that Amazon is developing special technology that would enable shoppers to enter a store, pick out items, and walk out without stopping to pay. It’s called Amazon Go, and it’s the future of shopping, we think. At the very least, the technology might be the future of shopping at Whole Foods. Or maybe not, who knows. We’ve reached out to Whole Foods to learn everything we can about this new Prime member exclusive deal stuff and will update this post if we hear back. In the meantime, saving 20 percent on a 20-pound turkey works out to about 10 percent of the cost of a yearlong Amazon Prime subscription. Do the math. Buy 10 turkeys weighing 20 pounds or more for Thanksgiving this year, and the Prime membership pays for itself. That’s the real deal!